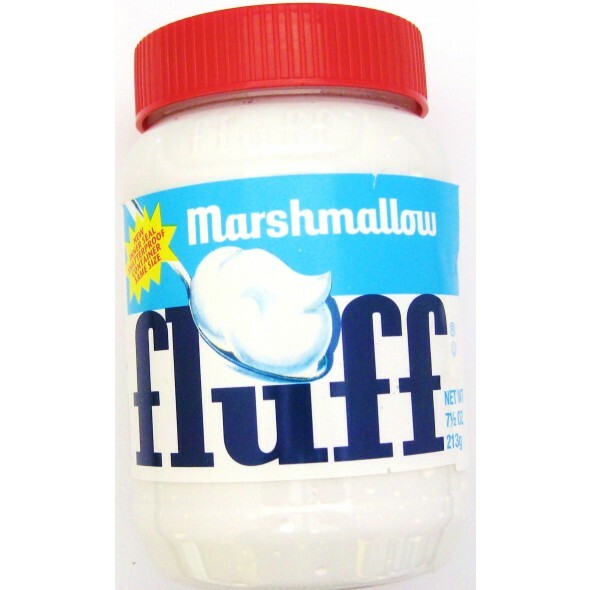 Fluff, Marshmallow creme. Also comes with great recipe ideas. 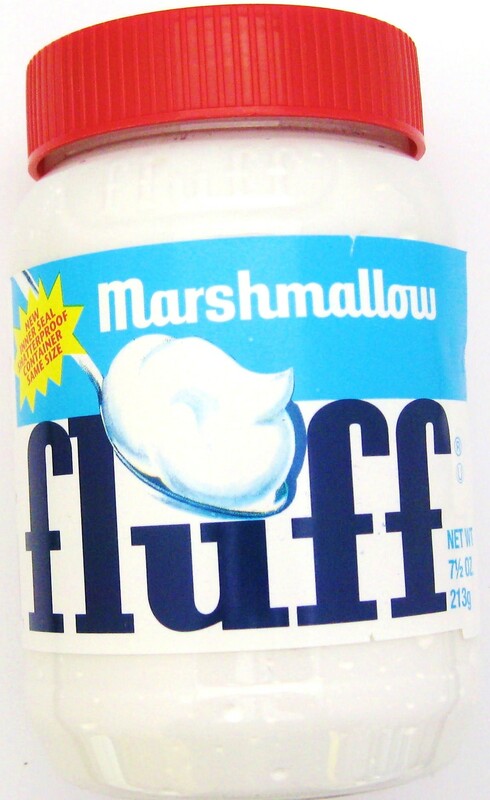 Marshmallow creme, It's what makes Durkee-Mower's product so fluffy, white, and smooth. New inner seal shatterproof container, same size.